Homescreen of the Actiview app with available movies including Incredibles 2 and Solo: A Star Wars Story. Berkeley, CA, USA: Actiview, a Bay Area based technology company, is collaborating with Pixar Animation Studios to provide support for all Blind/Low Vision and Hard of Hearing attendees of the new Disney•Pixar feature film “Incredibles 2,” opening in theaters nationwide June 15th. 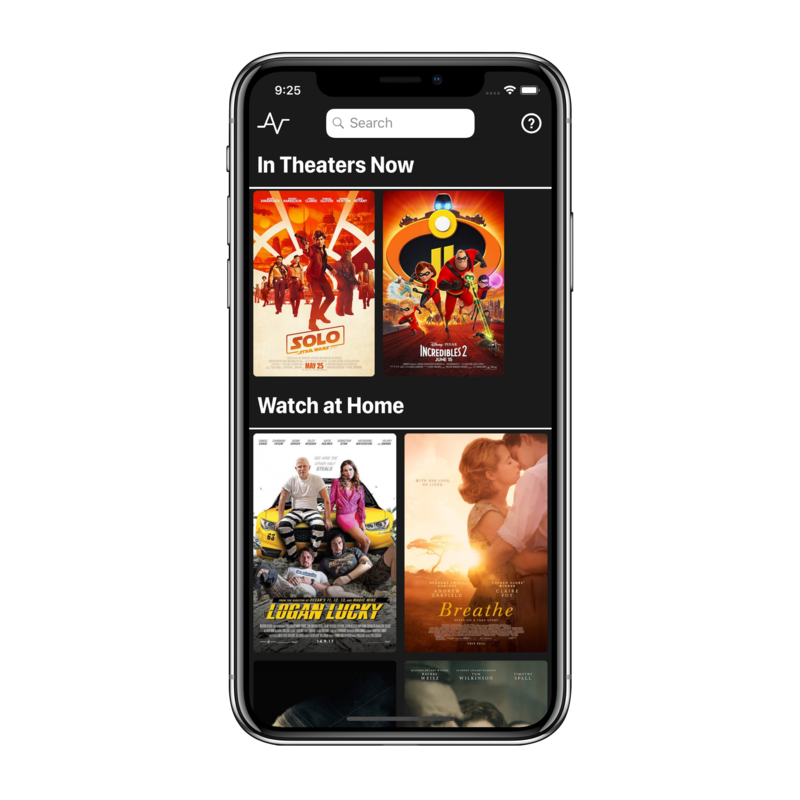 Moviegoers will be able to download Audio Description and Amplified Audio tracks to their mobile phone from the Actiview app, and play them alongside the film while they watch in the theater. Tracks are available to all audiences and compatible with any theater in the U.S. In the U.S., there are over 10 million Hard of Hearing and Blind/Low Vision individuals who benefit from accessibility solutions, like Actiview’s Audio Description and Amplified Audio tracks, to enjoy the movie-going experience. Actiview’s Audio Description enables Blind/Low Vision movie lovers to fully experience a film by providing a narrated description of the visual components that accompany the film dialogue. For millions who are Hard of Hearing, Actiview’s Amplified Audio support provides a louder soundtrack for the film, assisting those with hearing loss to pick up on important audible components of films such as dialogue and audio cues. Actiview is excited to join forces with Disney•Pixar to bring ownership of accessibility back to the people who need it. Actiview believes that accessibility technology should be convenient and should fit naturally into everyone’s lifestyle. In Disney•Pixar’s new release, “Incredibles 2,” Helen (voice of Holly Hunter) is called on to lead a campaign to bring Supers back, while Bob (voice of Craig T. Nelson) navigates the day-to-day heroics of “normal” life at home with Violet (voice of Sarah Vowell), Dash (voice of Huck Milner) and baby Jack-Jack—whose super powers are about to be discovered. Their mission is derailed, however, when a new villain emerges with a brilliant and dangerous plot that threatens everything. But the Parrs don’t shy away from a challenge, especially with Frozone (voice of Samuel L. Jackson) by their side. That’s what makes this family so Incredible. Actiview is a technology company focused on making the entertainment experience more accessible, active, engaging, and immersive. Our flagship product, the Actiview app, is an all-in-one solution that makes movies and video content accessible to the Blind/Low Vision and Deaf/Hard of Hearing communities in a way that feels natural and inclusive for everyone. The mobile app offers a range of services including Amplified Audio and Audio Description for both in-theater and in-home entertainment experiences. Follow us on social @TeamActiview.